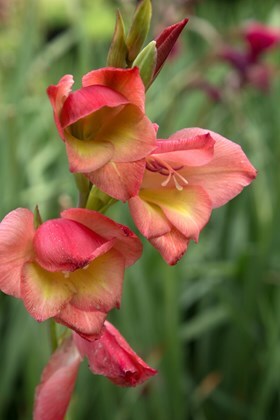 ‘Dwarf’ Gladiolus (or nanus type hybrids) are best planted in spring in sunny conditions in free draining soil, or in pots. 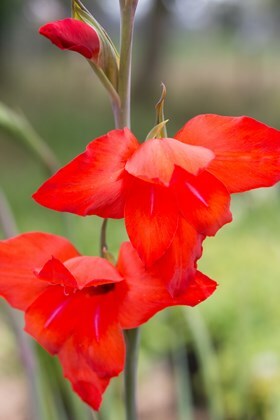 Grown for their upright stems of cheerful flowers which appear from July, the hybrid Gladiolus nanus forms are available in many colours. 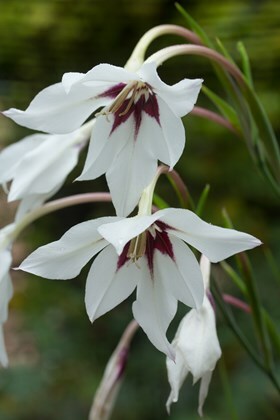 For pots of white scented flowers to frame a doorway in summer, we suggest Gladiolus callianthus (acidanthera) – or for heavier soils, Gladiolus papilio is an option. 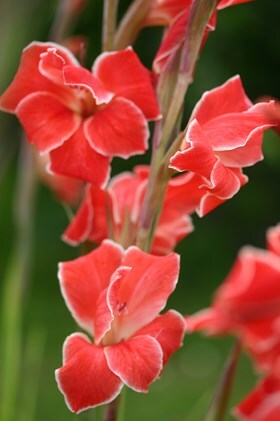 Gladiolus Ruby is larger flowered with deep crimson flowers - very sought after so do order early to avoid disappointment.